Are you in need of a vehicle that offers up impressive performance and alluring design? 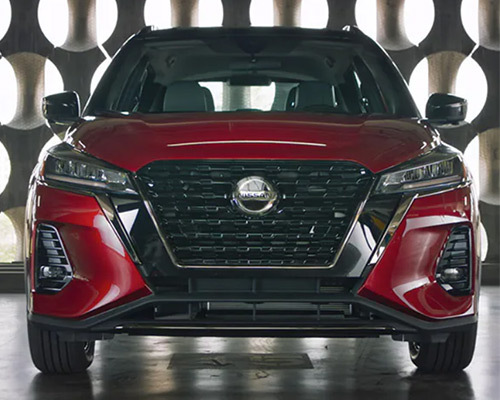 Then now is the time to get to know everything about the hot new Nissan Kicks currently for sale or lease here at Boardman Nissan in Youngstown. Give us just a few minutes of your time to showcase everything provided by this outstanding offering and we promise that it will not be long before you are stopping by our dealership to see one for yourself. With the Nissan Kicks on your side, you can have your cake and eat it too when it comes to fuel economy and motor power. To prove that the Kicks is serious about this claim, all you need to do is look under the hood at its engine that churns out 122 horsepower (hp), 114 pound-feet (lb.-ft.) of torque, and 31 miles per gallon (mpg) in the city and 36 mpg on the highway. 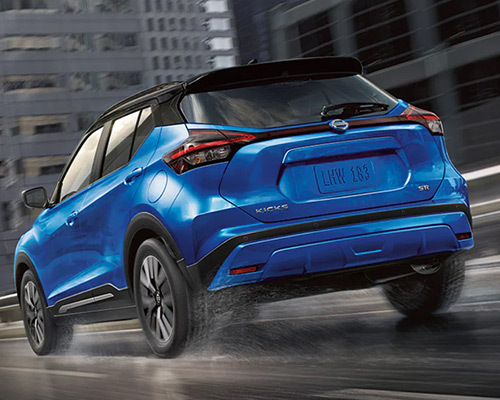 Whether you venture out on a trip across the country or simply need to tackle a hectic daily routine in the city, it is obvious this crossover has you covered. With the help of tons of modern features that go well beyond the Kicks' fuel efficiency and performance, this vehicle has everything needed to create a response riding experience. From Hill Start Assist, Intelligent Trace Control, and Speed-Sensitive Steering to Intelligent Engine Brake and Active Ride Control, owning or leasing a Kicks means enjoying the best ride-enhancing systems on the market. If tackling every turn and effortlessly gliding across the road is something you would like to experience, shouldn't you opt for all of the features found in this class leader? Looking to get behind the wheel of a crossover that has a completely unique look? Then now is the time to leverage the creative freedom found in the Nissan Kicks Color Studio. By tapping into Nissan's Color Studio, you can truly create a Kicks unlike any other as you pick out everything from the small details, like door handle covers, to an exterior color style that suits your one-of-a-kind persona. Serving as the frontrunner in the Kicks family, the S model is here to take your time spent on the roads of Youngstown to the next level. Thanks to Nissan's Rearview Monitor, the ability to sync with Apple's Siri, Bluetooth hands-free calling, a seven-inch (in.) touchscreen display, and countless other premium features, the Kicks S is poised to live up to even the loftiest of expectations. By adding even more premium features onto the foundation of the S, the Kicks SV has everything it needs to create the perfect blend of form and function. From 17-in. aluminum wheels to access to Android Auto and Apple CarPlay, there are no shortages of reasons to love your time spent behind the wheel of a Kicks SV on the roads of Youngstown. Built to live up to its sterling reputation, the Kicks SR knows how to pair serious performance with elegant style. Adept at turning other drivers green with envy, the Kicks SR and its sport cloth seating trim (which includes orange accents, rear roof spoiler, signature LED headlights, and numerous other premium features) are sure to take your daily drive to the next level. In order to match its elegant exterior, Nissan has ensured owning or leasing a Kicks also means partaking in the most luxurious cabin experience possible. Thanks to Automatic Temperature Control, push button ignition and remote engine start, and even Quick Comfort heated front seats and outside mirrors, this notion will always hold true for those who end up parking a Nissan Kick in their front driveway or garage. For those who plan on partaking in the finer things in life, it is obvious the Nissan Kicks deserves a spot on your list. Premium sound is a must as you make your way around Youngstown. This fact is not lost on Nissan, which is why you can upgrade your Kicks with an available Bose Personal Plus Audio System. With the help of UltraNearfield headrest speakers, this crossover offers up a listening experience that leaves the competition in awe and you in complete control of the soundtrack to your life. Looking for a trip out of city limits or packing up for a picnic with the family? No matter what is on your agenda, the versatile Nissan Kicks has the storage room you need to tackle any adventure. With the 60/40-split rear seats up, you have access to 25.3 cubic-feet (cu.-ft.) of cargo and 32.3 cu.-ft. once you fold them down. The big takeaway from all of this? 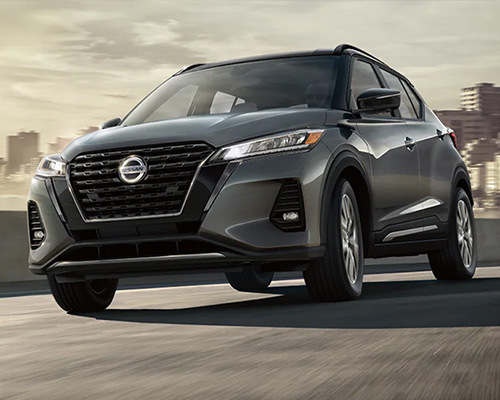 By leveraging enticing style, luxury amenities, and class-leading safety features, the Nissan Kicks now for sale or lease here at Boardman Nissan has cemented itself as the purveyor of the finest driving experience in Youngstown.